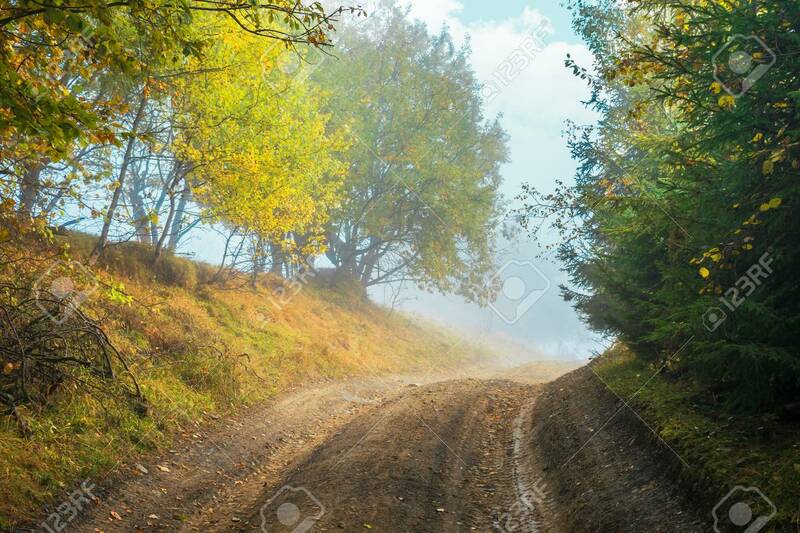 Road Uphill Through Forest In Autumn Fog. Colorful Trees On The.. Stock Photo, Picture And Royalty Free Image. Image 116824912.